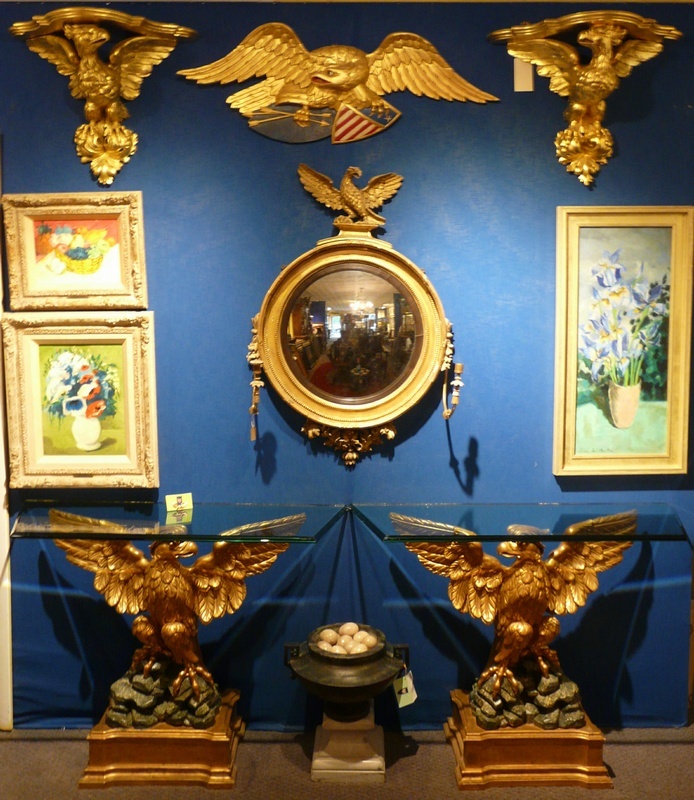 A pair of 20th Century carved and gilt-wood Eagle Consoles in the Kent manner. The carved majestic Eagles are standing on a rock form carved and polychrome painted bases over a rectangular gilt bases with molding details. Size: 33.5" H x 45" W at the widest of the glass top x 15" D, The wing span of the Eagles is 35" and the base is 20" x 14". 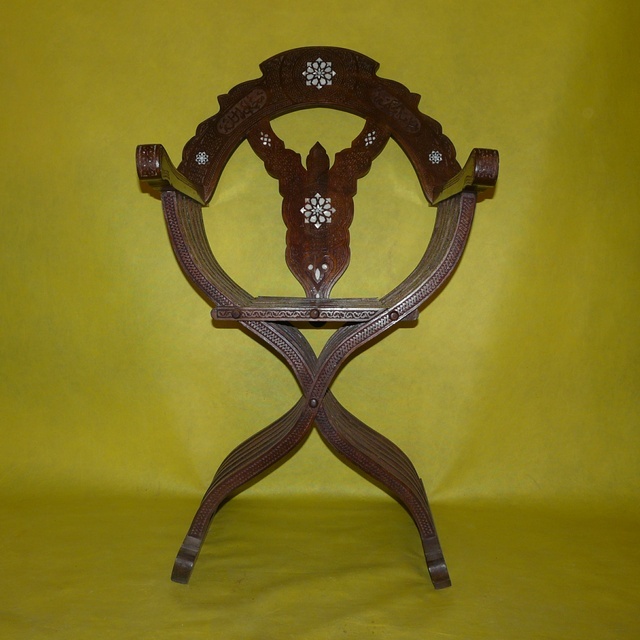 Syrian-Savonarola-Chair, 20th Century, Carved walnut inlaid with Mother Of Pearl. W: 27" x D: 20" x H: 42". 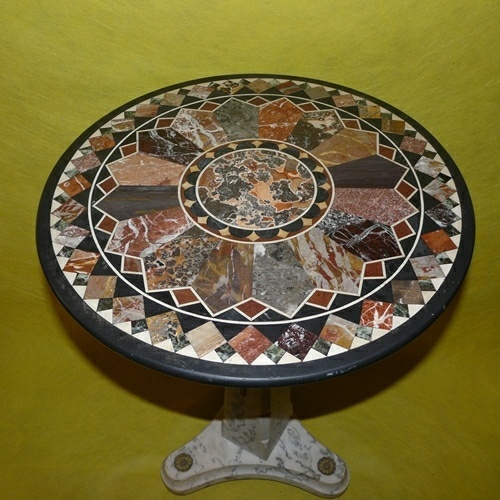 Continental marble side table with specimen marble inlay top, Italian, 19th Century. Diameter: 20.5" x H: 31". 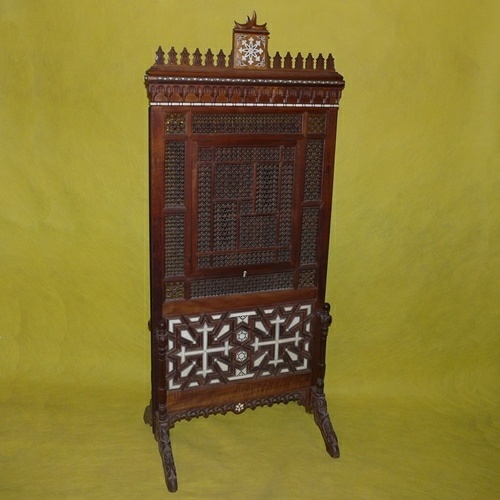 Late 19th Century Coptic Screen, Carved Mahogany, Turned Mahogany (Mashrabiah) and Ivory inlay. Probably Egyptian. H: 58" x W: 25.5" x D: 18".